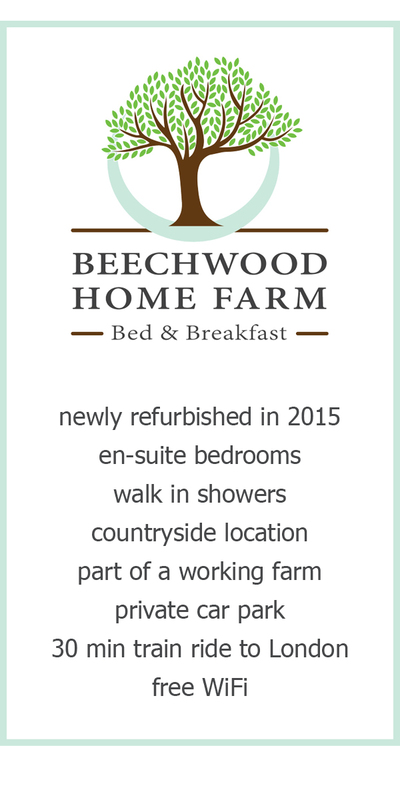 The Paddocks is named after one of the fields at Beechwood Home Farm. Located at the back of the house it offers views from both angles of the house. 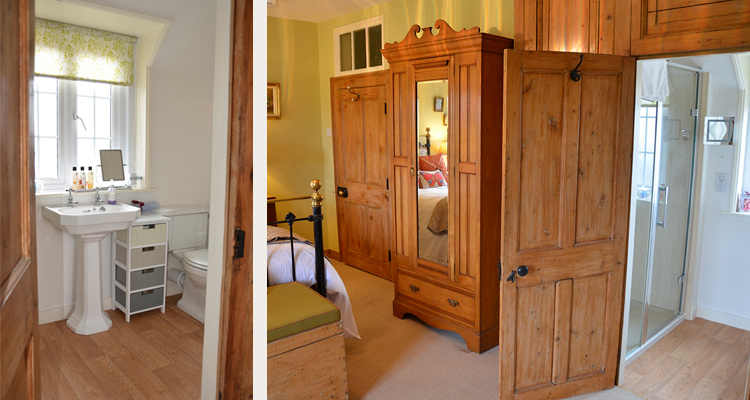 From the bedroom you can look out to the fields and the woods as well as part of the working farm. From the bathroom you can see out to the courtyard. 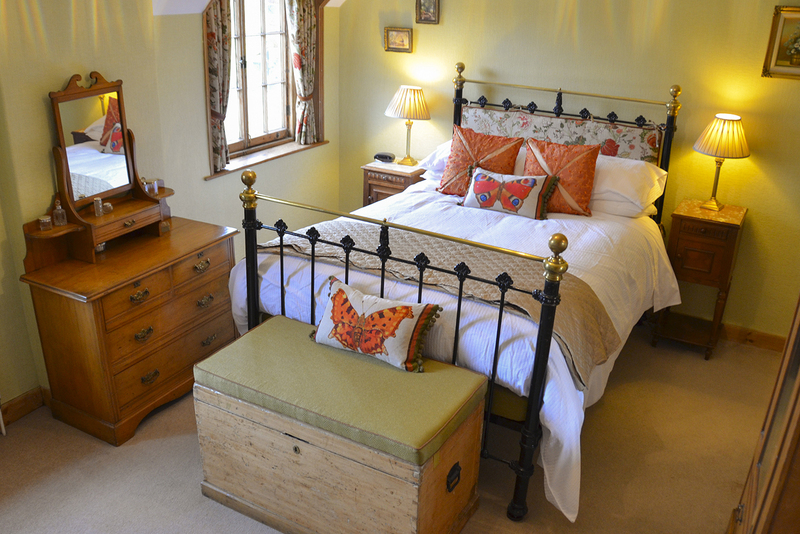 The room has been decorated using warm interiors and country pictures. It has a mixture of modern and antique furniture with the original fireplace featuring. It is fitted with a flat screen HD TV, free access to WiFi, alarm clock and hair dryer. 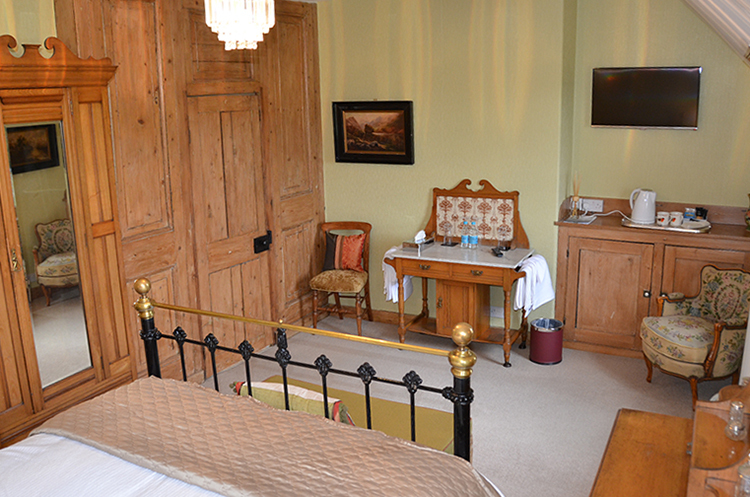 Complimentary tea and coffee and individually bottled water is provided in the room. It includes a en-suite bathroom with a large power shower. Handmade natural bath and body products and fluffy cotton towels are provided for guests to use.